Vocalist, Rhythm Guitar, Lead Guitar, Acoustic Guitar, Bass Guitar, Keyboard, Background Singer, Harmonica, Banjo, Fiddle, Dobro, Bagpipes, Steel guitar, Accordion. The Desperados are looking to book more shows and to deputize some fine musicians to join their posse. To contact The Desperados, visit their website at thedesperados. net. The Desperados will return to Harrigan’s Pub located on 703 Baltimore Blvd., Sea Girt, NJ from 8:00pm-11:30pm. The Desperados will return to Harrigan’s Pub located on 703 Baltimore Blvd., Sea Girt, NJ from 8:00pm to 11:30pm. The Desperados will return to the Carnegie Center for a lunch hour show that takes place from 12:00pm to 1:30pm. 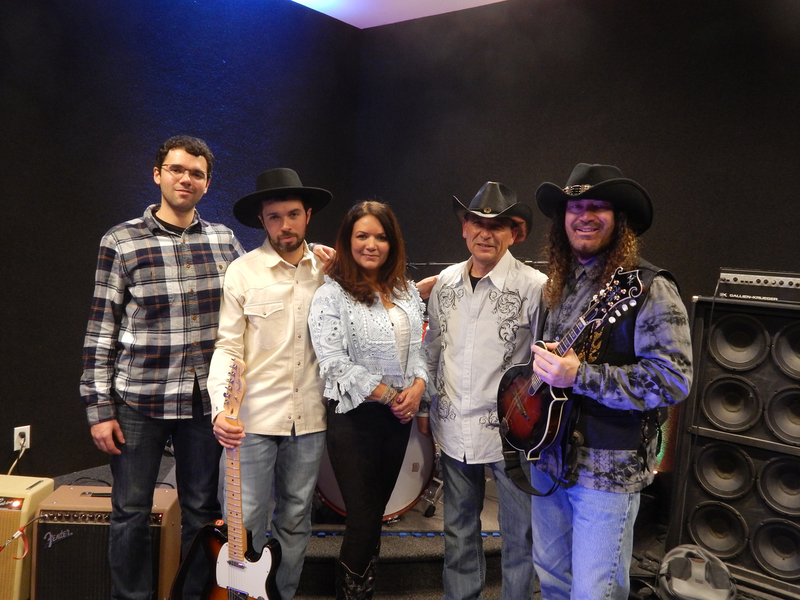 The Desperados will be returning to Ardsley New York for their summer concert series at Pascone Park (507 Ashford Ave, Ardsley, NY) from 7:00pm-8:30pm. Private party as the O’Desperado Duo in Souderton, PA.
St. Patrick's Day Celebration as the O’Desperado Duo at the Beacon Hill Country Club, Atlantic Highlands, NJ. Showtime runs form 6:00pm-9:00pm. The O'Desperados will return to Harrigan's Pub, 703 Baltimore Blvd., Sea Girt, NJ for a St. Patrick's Day weekend show. The showtime is from 8:00pm to 11:30pm. The O'Desperado Trio will be performing a private St. Patrick's Day party at 1675 Broadway, New York from 4:00pm-7:00pm. The Desperados will be playing a private event at Princeton University from 9:00pm - 11:00pm. The Desperado Duo will perform at the Portuguese Sporting Club in South Amboy, NJ from 9:00pm-12:00pm. The bar is open to the public. No cover. The O'Desperados will be performing once again at Harrigan's Pub (Sea Girt) annual Irish New Year's Party. The show begins at 4:45pm and runs until just before 11:00pm. There will be 2 reserved dinner seatings at 5:00pm and 7:00pm. Don't miss out! The Desperados will be performing at the Ship Bottom Christmas Parade taking place on Long Beach Boulevard. The parade starts at 1. The Desperados return to Harrigan's Pub located on 703 Baltimore Blvd., in Sea Girt, NJ from 7:45pm-11:30pm. Private Event (Birthday Party) ias The Desperado Duo in Newton, NJ. The Desperados will be returning to Harrigan's Pub located on 703 Baltimore Blvd, Sea Girt, NJ for a night of country rock music and a set of Irish tunes. The show runs from 7:45pm to 11:30 pm. The Desperados will be performing the music of the Eagles at the West Milford Library (1470 Union Valley Road, West MIlford, NJ) from 7:00pm - 8:15pm. This is a rain or shine event. The Desperados will perform an acoustic show at Fratello's Restaurant (810 The Plaza, Sea Girt, NJ) from 7:45pm - 11:00pm. The Desperados will be performing at the Carnegie Center (101 Carnegie Center Princeton, NJ) for a lunchtime performance from 12:00pm-1:00pm. The Desperados will perform at the Seaside Park Summer Concert Series located at 1 Municipal Plaza in Seaside Park from 7:00pm-9:00pm. The Desperados will be returning to The Crab's Claw Inn (601 Grand Central Ave, Lavallette, NJ) from 9:30pm-1:00am on Friday, June 22nd. The Desperado Duo will return to St. Stephen's Green Publick House located on 2031 Rt. 71, Spring Lake Heights, NJ for an acoustic show. Special guests will join for a special set of Irish music. Show time starts at 9:30pm and goes to 1:00am. The O'Desperados will be performing at a private, St. Pat's Party in Mantoloking, NJ. The O'Desperado Duo will be playing on St. Patrick's Day at The Landing located on 311 Amwell Road in Hillsborough, NJ from 7:00pm to 10:00pm. Swing by an hear some Irish tunes. The Desperados will be performing at from 7:00pm-11:00pm at the Cherry Valley Country Club (125 Country Club Dr, Skillman, NJ) as The O'Desperado Duo for a Night Before St. Patrick's Day Performance. All Cherry Valley Country Club members are welcome to go. The O'Desperados will be performing at Harrigan's Pub (703 Baltimore Blvd, Sea Girt, NJ) for their annual Irish New Year Celebration. The show starts at 4:45pm and goes until 10:30pm. The Desperados will be performing at the Crab's Claw Inn located on 601 Grand Central Ave, Lavallette, NJ from 8:30pm-12:00am. The Desperados will perform at Harrigan's Pub located on 703 Baltimore Boulevard in Sea Girt, NJ from 8:15pm-11:45pm. Come see The Desperados at the 38th Annual Ship Bottom Christmas Parade. The parade starts at 1:00pm. The parade route is from 5th St. to 25th. St along Long Beach Boulevard in Ship Bottom, NJ. This year's theme is "Deck the Hulls". The Desperados Concert for Fulfill Food Bank & Musicians On A Mission from 7:00pm-8:45pm at the Belmar Arts Center (608 River Road, Belmar). Admission is $10 OR $5 with two canned food items. MOAM raises funds for 2 dozen local charities. The Desperados will perform country rock and a special Eagles set. Special guest: singer-songwriter Dan Toye. Come out and support a great cause! Pat & Robbie from The Desperados will be performing at Harrigan's Pub (703 Baltimore Blvd, Sea Girt, NJ) as The Desperado Duo from 7:45pm-11:00pm. The Desperados will make a return to St. Stephen's Green Publick House located on 2031 Route 71 in SPring Lake Heights, NJ from 9:30pm until close. The Desperados will be playing a private event (birthday party) from 4:30pm-7:00pm in Cream Ridge, NJ. 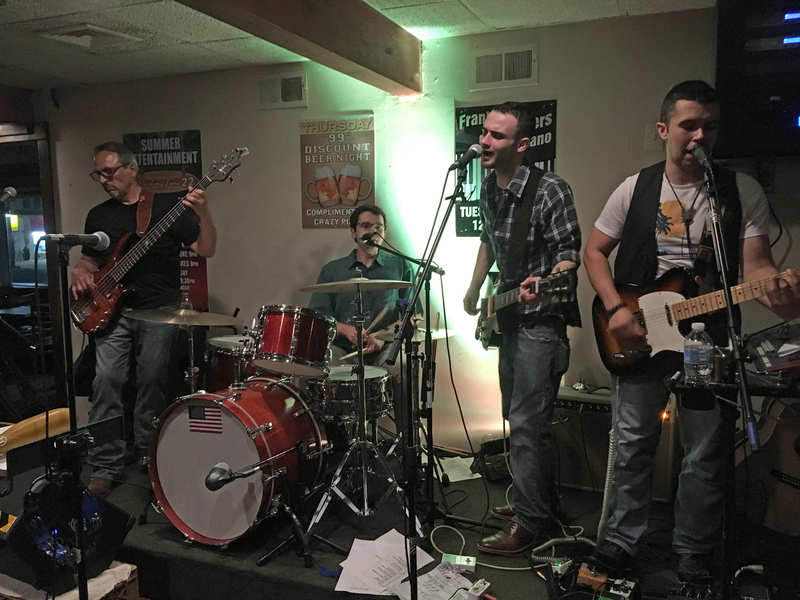 The Desperados will be performing at Manalapan Recreation Center's Great Lawn from 7:30pm to 8:30pm located on 120 Route 22, Manalapan, NJ. A movie will follow the concert. The Desperados will be performing at the Jackson Township Library located at 2 Jackson Drive in Jackson, NJ from 2:00pm to 3:00pm. The Desperados will be performing at the Brick Library on 301 Chambersbridge Road in Brick, NJ from 2:00pm to 3:00pm. The Desperados will be performing from 7:00pm-8:30pm at the Ginty Gazebo located on 35 Woodland Ave. in Morris Township, NJ. The Desperados will be performing at the annual Ranchin' Vets' Shorefest at the National Guard Training Center, 500 Sea Girt Ave, Sea Girt, NJ from 12:00pm-3:30pm. Ranchin' Vets is a 501(c)(3) nonprofit organization which assists in the reintegration of veterans into civilian life through programs in the ranching and agricultural industry. The all ages event will have food, games, and prizes. Tickets are available at the door or at https://ranchinvets.givezooks.com/events/shorefest-2017. A $30 ticket admits one ages 21+ and includes 2 drink tickets and lunch. $15 admits one from ages 10-20 and includes lunch. Children under 10 are free. Visit www.RanchinVets.org for more info. 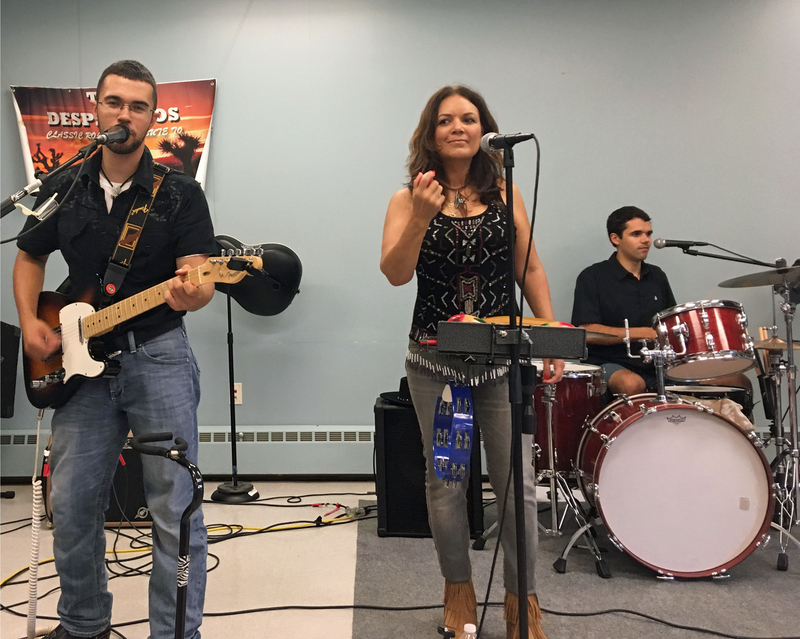 The Desperados will be performing an all Eagles' show from 7:00pm - 8:00pm outdoors at the Randolph Library gazebo located on 28 Calais Road in Randolph, NJ. In the event of rain, the event will be moved indoors. 7:00pm - 8:30pm at the Barnegat Township Municipal Dock located on 427 E. Bay Ave, in Barnegat, NJ. Bring a lawn chair and enjoy some great tunes! The Desperado Duo will be playing at the Manasquan River Golf Club in Brielle, NJ from 6:30pm-9:30pm. Sign up to reserve a spot!